Unlike World War 3 II, which referred to the second album by that thuggish UK band, or Manfred Mann’s Chapter III, which referred to the third outfit led by Mr. Mann, Manas III is neither the third album by Manas, nor the third iteration of the band. Rather, it refers to the number of participants on the second album by this spectacular Asheville NC unit, previously known primarily as a duo. The two main actors in question are guitarist, Tashi Dorji, and drummer Thom Nguyen. Tashi’s earliest recordings were largely acoustic abstractions, lauded by everyone from Ben Chasny to William “Bill” Nace. Thom’s drumming has been part of such legendary Asheville ensembles as the great Mendocino (LP hopefully forthcoming sometime). Together, they presented an electric splat approach to power-improv with parallels to outfits like Rangda and OvO. 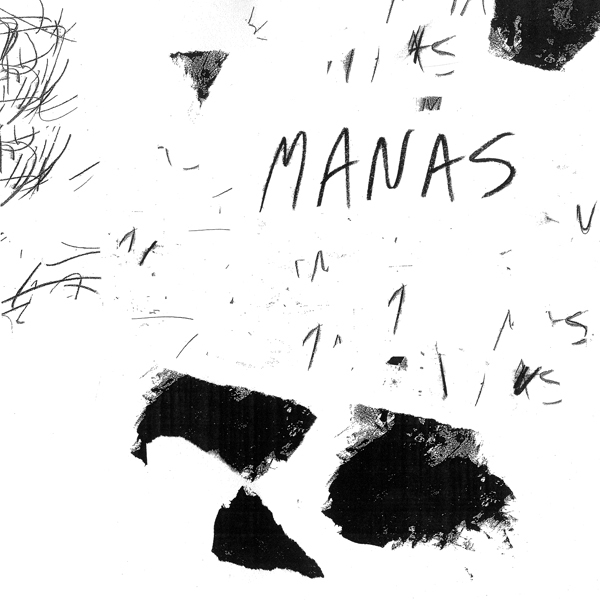 Their first album, Manas (FTR 208), blew the lips off most people who heard it. For Manas III, percussionist Tyler Damon (who has also recorded with Tashi in a duo) format is added to the mix. His playing brings a whole new width and depth to the proceedings, comprised as it is of varietal clanging and tingling in the tradition of Jamie Muir and those who sail with him. The flavors this adds to the music are alternately proggy and free, and we think you’ll agree this trio thing is a blast. Tashi’s guitar work is full of static-rich surges that sounds like something Nikola Tesla would dig. And the bottom is is a fat and fleet as Queen. We’ve been complete suckers for everything Tashi has done thus far, and Manas is one of the best projects he’s undertaken. Pretty sure Manas III is going to knock you right off your bike. So hang on tight.